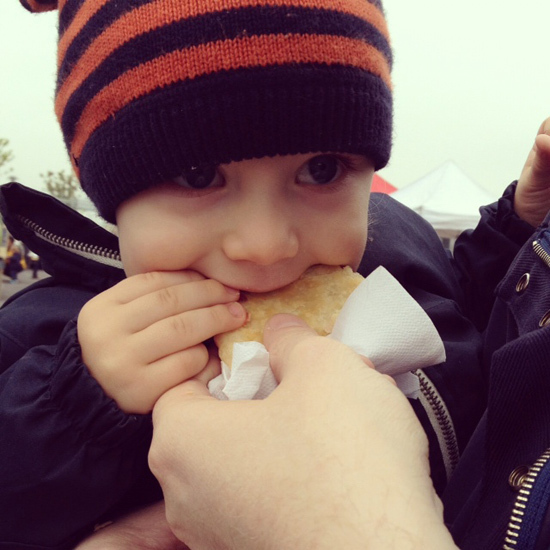 Jim and I aren’t the only ones that look forward to our Smorgasburg Saturdays. When I ask Van if he’s ready to eat a pop tart by the water his eyes light up and he shakes his head yes vigorously. The pop tarts in question are not those grocery store guilty pleasures though. No, Van loves the homemade ones from Anarchy in a Jar. They have mixed berry, blueberry and strawberry and all are delicious. I know because I usually manage to get a bite in before he’s wolfed them down. Thank you so much for the shout out! I’m glad they’re enjoyed by the whole family!